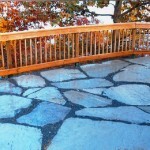 Slate flagstone and pavers are ideal for outdoor patios, porches, terraces, pavilions, driveways, walkways, stepping stones or any public building. 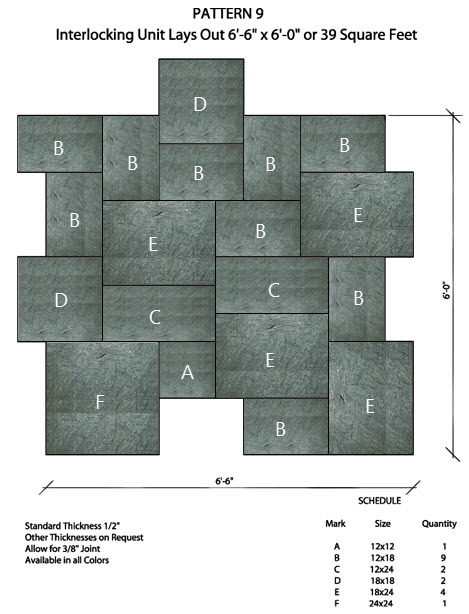 Flagstone produced by Camara Slate is a combination of hardness, durability, excellent performance and natural beauty, making it an ideal material for pavers. 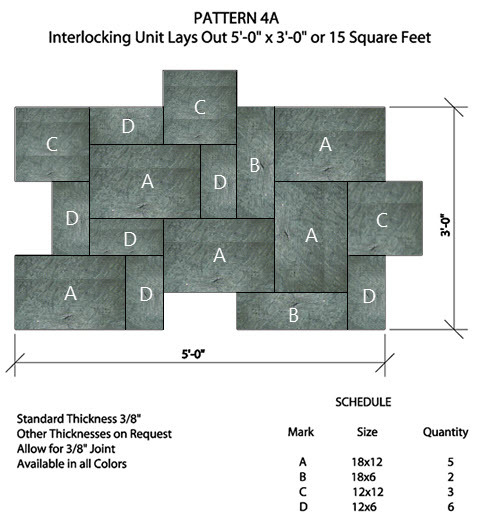 Because we produce custom sizes, homeowners, contractors and architects appreciate the flexibility of our product. 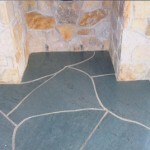 Our flagstone is widely used in both residential and commercial applications. 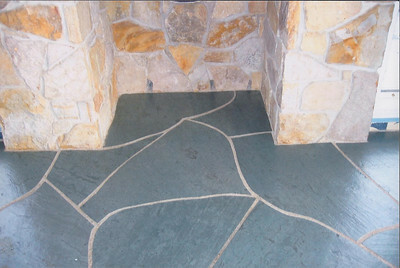 Due to its resistance to acid, slate may be laid directly on soil. 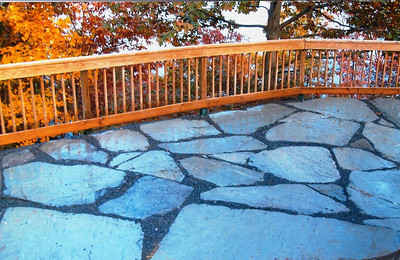 Typical installations are laid over sand and aggregate or concrete. 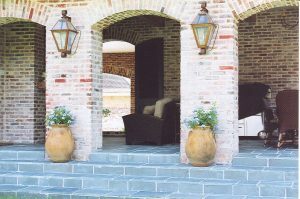 Indoor installations are possible over a medium-bed type mortar application. Because of its high density and very low water absorption characteristics, slate does not have a tendency to spall or delaminate under freeze – thaw conditions. Camara Slate offers more than visual appeal. 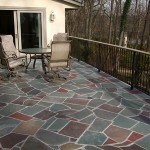 The natural cleft texture of the slate creates a slip resistant finish that meets with ADA specifications. As well, slate resists moisture, heat and the heavy pounding of high traffic areas, giving your flooring that protective touch. 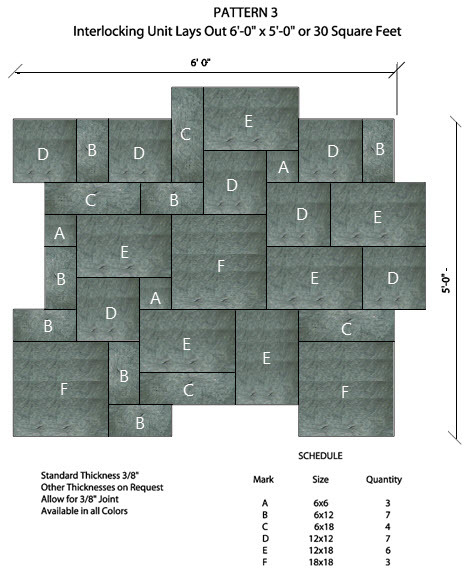 All Camara slate flagstone and pavers meet or exceed ASTM Standards (interior and exterior) and are guaranteed for 30 years against delaminating or softening of the body. 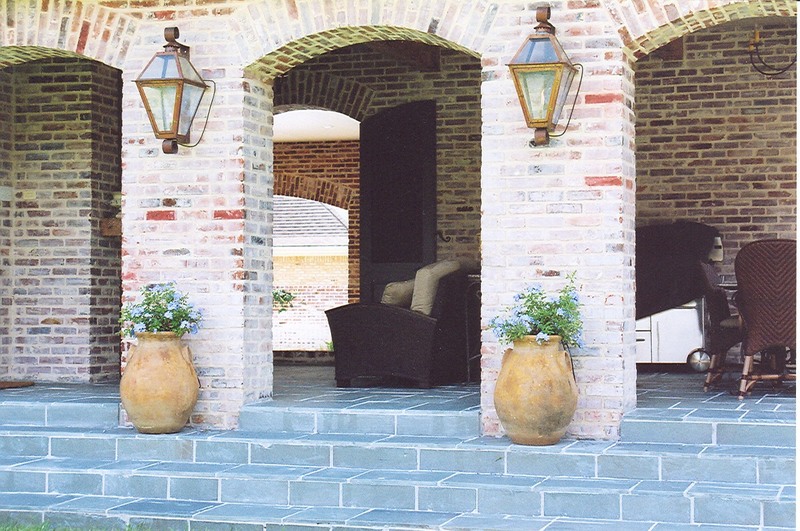 The minimal maintenance and durability will appeal to any homeowner, contractor or architect. One of the most durable and plentiful of the Vermont slates. A pleasurable material to work for the slate craftsmen- cuttable and consistent. This stone is gray/green when freshly quarried and a naturally harmonious blend of greens, grays, and browns after weathering. Produced in Vermont. Our Vermont Gray weathers uniformly. The natural battleship gray assumes a light bronze patina over time that deepens the color but maintains a gray roof. 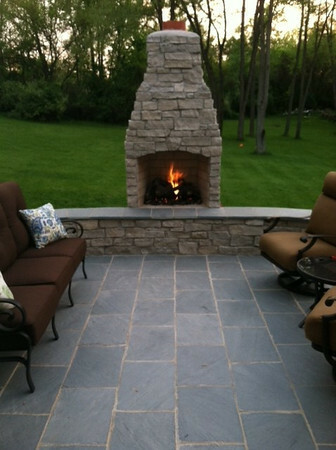 Rugged, durable and medium texture, Vermont Grey is the traditional “slate gray” stone roof. Occasional pieces may show buff and brown tones. Produced in Vermont. The one and only, true Unfading red carries a price tag that reflects the limited deposits and difficult production of this exotic and extremely hard material. Brick red in color and one of the most durable slates known. Produced in Washington County, New York. Shades of green and gray/green that will not change in color. Some deposits are a very bright green, while others range gray/green. Produced in Vermont. Grayish background with mottlings of various shades of darker gray-black. Some weathering can occur. A smooth textured, clear black slate. 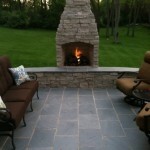 We offer two types of flagstone, regular and irregular. 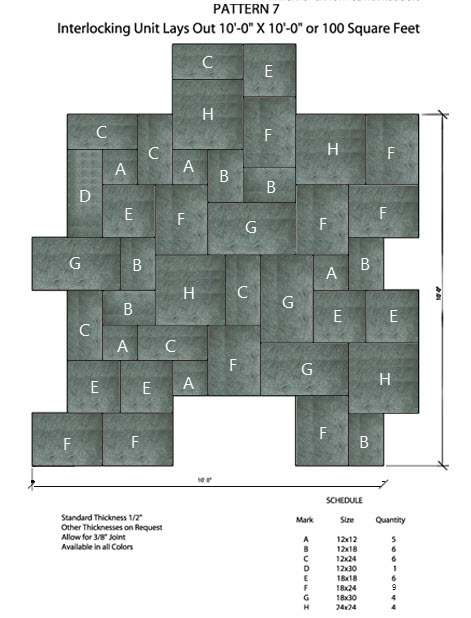 Regular flagstone has a uniform “square” look. Four sawn edges is standard with occasional missing or sawn corners. Regular is typically 19” lengths and random widths. 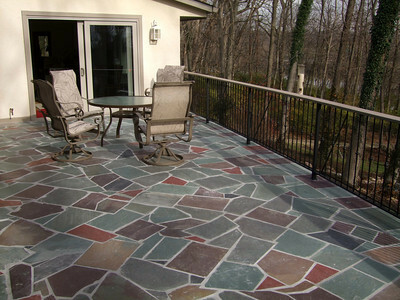 Irregular flagstone can be one to four sawn edges, a very random and “irregular” look. Standard irregular can be 19” and less length by random widths. 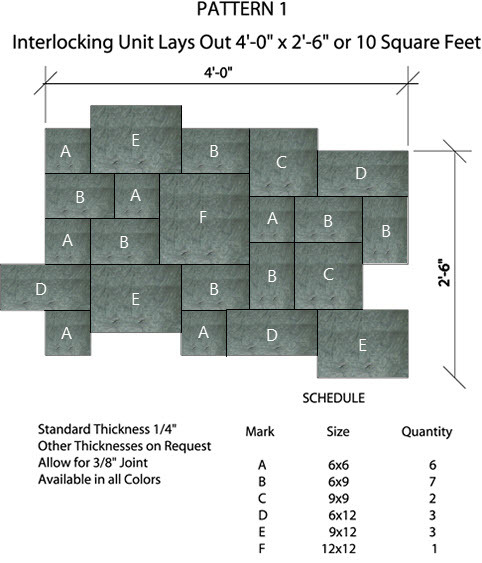 We also have a 25” length and random widths offered as irregular as well. 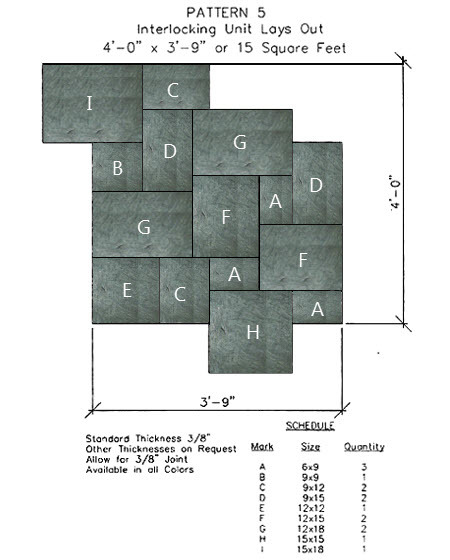 Standard thickness for flagstone is ¾-1”, although any thickness can be produced on request. Click above to copy a pattern. 99% of all people who are interested in our products have similar questions. Call us at Camara Slate (802)-265-3200 between 7:30 am to 5:00pm EST or Fill out our online form.